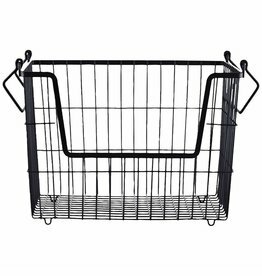 Black stackable basket in 2 sizes available from House Doctor. 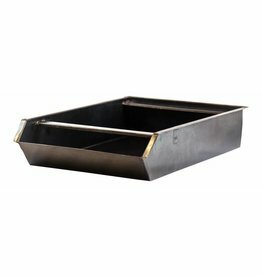 Beautiful black metal storage box. A really tough for stacking papers brut. 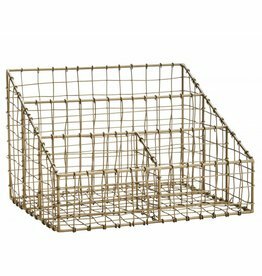 Mat gold metal storage rack or desk organizer by Madam Stoltz.